The Tylosaurus is the largest ever lizard. It was a marine lizard – it lived in the sea. In fact, the Tylosarus also gets the title of the largest ever marine reptile. It is similar in many ways to modern monitor lizards and to snakes. It lived together with dinosaurs and went extinct at the same time as them dinosaur. It was found in the oceans near North America. 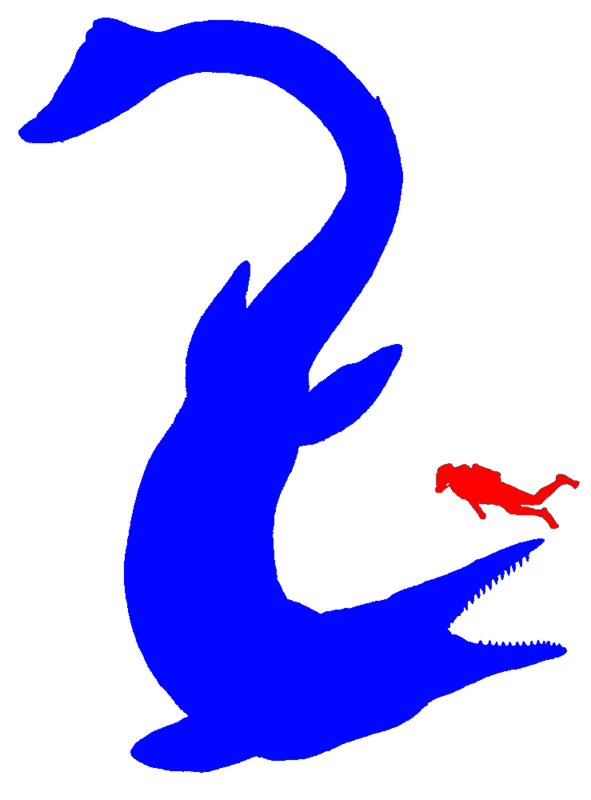 Tylosaurus could grow to about 15 metres (50 feet) or more. It had a long, cylinder-shaped snout which allowed it to find its prey and ram into it. It had two rows of pointy cone-shaped teeth. It had a double-hinged jaw and flexible skull, like the snakes, which allowed it to swallowed its prey whole. It also had a long and muscular flattened tail, quick-moving flippers and a streamlined body. All these features had helped the Tylosaurus to be a powerful swimmer. It could attack its prey rapidly. Fossilized Tylosaurus’s stomach contents showed us that this deadly marine creature ate different kinds of food like fish, sharks, smaller marine lizards, meat eating aquatic reptile and flightless diving birds. Mother Tylosauruses gave birth to live young babies. She did not return to the shore to lay her eggs like the sea turtles.